PRESQUE ISLE - A look at the changing world of health insurance, and plans to merge economic development organizations in the region highlight the Aroostook Partnership for Progress/LEADers Encouraging Aroostook Development annual meeting at 7:30 a.m. Wednesday, Nov. 4 at the Edmunds Conference Center at Northern Maine Community College. "It is important to have an annual meeting to reinforce to all the Partnership investors the focus and priorities we share under the Mobilize Northern Maine economic strategy and to review the progress that has been made from our efforts over the last year," said APP President Bob Dorsey. "Also of interest is an update on efforts to merge APP and LEAD into one organization." Work has been ongoing for the past six months to have all functions and finances of the organizations combined for greater efficiencies and to ease meeting requirements for companies that invest in both APP and LEAD. "One team, one private sector segment, one expanded board of directors, greater collaboration among economic development organizations, inclusion of the Loring Development Authority and Southern Aroostook Development Corporation - these are some of the attributes that will make the Partnership a better focused effort," Dorsey explained. "Most of the comments I am hearing from investors indicate they are happy with this direction and wish this had happened earlier". Also on the agenda is a keynote address from Kevin Lewis on how the health insurance world has evolved and what employers need to know about future changes. His talk is entitled, "Coverage, Care & Costs: A New Start Health Plan Perspective." Lewis is the Chief Executive Officer of Community Health Options (Health Options), a private, non-profit health plan that is partnering with consumers, businesses and health professionals to achieve the Triple Aim. Health Options is a Consumer Operated and Oriented Plan (CO-OP) and offers a range of qualified health plans both on and off the Health Insurance Marketplace for individuals, families and businesses throughout Maine and New Hampshire. Prior to starting Health Options, Kevin was the CEO of the Maine Primary Care Association (MPCA), the statewide organization of Federally Qualified Health Centers (FQHCs) from 2002 to 2012. From 2000 to 2002, Kevin was the Director of Continuing Care at the Maine Hospital Association. Kevin previously served as the lobbyist and a budget and policy analyst for the Wisconsin Department of Health and Family Services. The breakfast is free, but pre-registration is required. 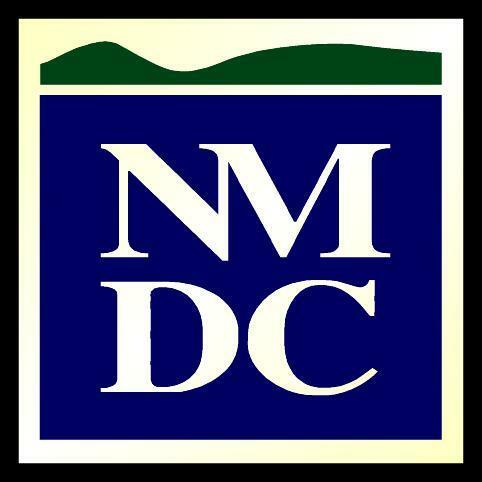 To register contact Judy Dinsmore at Northern Maine Development Commission, jdinsmore@nmdc.org. ORONO - Members of the Aroostook Partnership for Progress Forest Products Industry Cluster and others now have a better understanding of the role the University of Maine is playing in forestry related research and development. Touring several facilities September 9, both on and off campus, researchers showed off promising projects for the industry. Researchers with U-Maine are working in numerous areas, such as nanocellulose technology, jet fuel from wood biomass, new paper coatings, cross-laminated timber, manufacturing improvements and other ventures, some of which are confidential due to agreements with partner companies. "The primary goal of the cluster is to increase production potential and new products in this sector, and research and development is critical to enabling future opportunities for growth in the form of new products or processes," said APP President and CEO Bob Dorsey. "The University of Maine is a resource right in our own back yard and one which is playing a big role in the forest industry in this state and beyond." Forestry Cluster members tour the U-Maine's Process Development Center. The work being done at U-Maine brings together the university's internationally recognized expertise in forest resources, wood and paper science, structural engineering and chemical engineering to solve current problems and develop new opportunities for Maine's $8-billion forest-based economy. According to researchers, one extremely promising area is in nanocellulose. 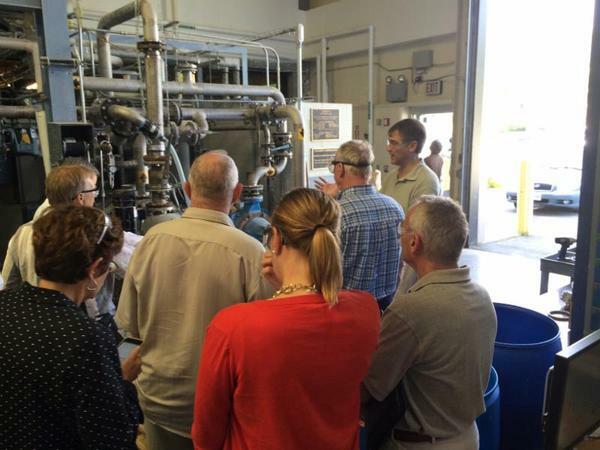 U-Maine's Process Development Center is the nation's first Cellulose Nanofiber Pilot Plant. Funded through a $1.5 million grant from the U.S. Forest Service, the new facility can produce up to one ton per day of cellulose nanofiber, a material derived from wood chips with commercial potential as a component in foods, composites, transparent flexible films and a wide range of other products. In addition to the Process Development Center, cluster members, which included mill owners and representatives, economic development officials, a Maine legislator, political staffers and others, toured the Center for Research on Sustainable Forests, Engineered Wood Composites, Paper Surface Science Program, the Forest Bioproducts Research Institute and Technology Research Center and the Advanced Manufacturing Center. "I was amazed at the breadth and depth of practical and exotic research being conducted at U-Maine," said Dorsey. "I'm sure it opened the eyes of many in our cluster. It also fostered new relationships between industry and the University, which will hopefully lead to even greater collaboration going forward. It was truly a success and we plan on conducting another tour for those who couldn't make this one later this fall." The group, which represents industry officials, loggers, educators, economic development officials, bankers and others, meets every other month to discuss opportunities and challenges. The cluster, organized by APP and supported by Northern Maine Development Commission through grants from the Maine Technology Institute and USDA Rural Development, has developed an action plan to address challenges in workforce development/education, transportation, energy, access to capital/insurance, state bureaucratic barriers and research/development.